You never really know your limits until you push yourself. For disabled people this can mean small but determined steps. We’ve spoken with several organisations offering accessible adventure activities to disabled people who were able to share some super success stories about how their visitors were able to achieve through taking on adventure. Each story demonstrates different circumstances and illustrates how with a bit of grit and the right support, disabled people can do things that open up their lives to a world of possibilities. The Nancy Oldfield Trust, located on the Norfolk Broads, enables people of all ages who are disabled or disadvantaged, to experience boating activities. The Trust owns three motor cruisers, 10 sailing craft and Canadian rafted canoes that operate on Barton Broad and the surrounding rivers and waterways. There is also a fully accessible bungalow on site where visitors can stay for a few days. The motor cruisers have wheelchair lifts, accessible toilets and kitchen facilities. Visitors are able to see a wide variety of wildlife, and they can experience driving the boat themselves if they wish. We have a team of experienced volunteers who look after your safety, and will help you to enjoy your day out with us. Some people want to learn to sail; others prefer to let us do the hard work whilst they sit and watch the world go by. We have several groups from day centres and residential settings locally who take part in our activities on a regular basis. Chris who brings a group of young men with learning disabilities says: “I have been supporting adults with learning difficulties which include people with autism to access the Nancy Oldfield Trust for several years now. Without the Nancy Oldfield Trust the people that I support would not be able to access the Norfolk Broads or socialise with the wonderful staff that work and volunteer there. One of the people that I support is a young man from the Congo who is autistic and does not speak at all. When he is out on the boat with the birdwatching group, he smiles a lot more than usual and points at the different birds and wildlife that we encounter. This is quite a rare thing for this young man to do as he is usually very anxious and introverted, whereas on the boats he comes out of his shell. Nick Martin, 52, sustained a spinal cord injury following a motorcycle accident in 2010. The accident left him paralysed from the chest down and without much use of his fingers. After a year in hospital he was discharged, but struggled with health issues, reintegrating with his wife and three children – and getting back to work. Nick initially came across Back Up at the spinal unit in Stanmore Hospital where he attended a Wheelchair Skills session in 2011 as an inpatient. On his discharge, Nick started to work with a Back Up mentor, who helped him regain his self-confidence and encouraged him to do a Back Up activity course. Having been an avid windsurfer prior to his accident Nick first went on a Back Up water-ski course in 2012, which he got a lot out of. However, after a serious health setback and stalling progress on rehabilitation, in 2014 he realised he needed more help. After speaking with Andy (one of Back Up’s course coordinators) Nick applied for a place on the ski-kart trip to Sweden in January 2015. The course gives participants the opportunity to make changes in their life by increasing their confidence and independence. This can be achieved by doing something physically and mentally demanding like ski-karting, or flying as a wheelchair user for the first time, or something smaller like gaining the confidence to ask for help from strangers, or to try something new for yourself. Participants are encouraged to cope with situations which take them outside of their comfort zones and therefore expand their capabilities. They are also able to discuss positives and negatives of daily life in a wheelchair in a safe and supportive environment. New skills are learned by trying new activities and by taking part, many participants are able to develop a more positive outlook on the future. 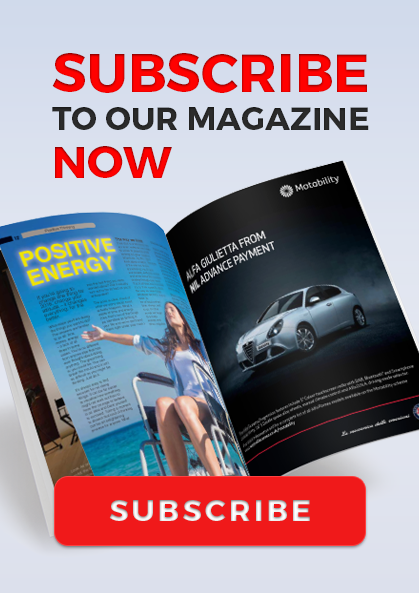 Nick takes up the story, saying: “I had been an active person: cycling, playing tennis, windsurfing, mountain walking and generally keeping pretty fit, but a motorcycle accident had left me paralysed from the chest down. While I was in hospital, I found out about Back Up, which offers mentoring, activities and courses designed to support newly paralysed people and their families and get them to make the most of their new circumstances during what is an incredibly challenging time. The course I was particularly keen on was ski-karting in Sweden. Before my accident I had gone skiing with my wife and three young children for a week each winter. By coincidence we had been to the same ski area in Sweden that Back Up go to, a place called Are – just a few years before. What I hadn’t appreciated then was that it was the home of the biggest disabled ski school in Europe, Totalskidskolen. Every year Back Up takes a group of people who are newly paralysed to Are for a week. The idea is not just to have a good time but to challenge preconceptions of what is possible and to expand people’s horizons so that when they return they can face their circumstances with new confidence and optimism. I was thrilled when I learned that I had got a place on the Back Up trip, but also very apprehensive. I had not travelled overseas since my accident, nor had I been away from my family or live-in carers. We met up at Heathrow: six participants and 15 Back Up volunteers. All total strangers, but committed to the same cause. A ski-kart is like a go-kart, but with skis instead of wheels and gravity in place of an engine. You sit very low to the ground with your feet forward and steer the forward skis with levers: push on the left to turn right and right to turn left. Although not as manoeuvrable as being on ordinary skis, the speeds are similar and, because of the low seating position, you feel like you’re going a lot faster than you really are. The first few days were tough. I was sharing a room with a heavy snorer, getting up early, having a physically and mentally challenging day, being outside in temperatures down to -20°C and staying up late getting to know my new companions – but the skiing was fantastic. It gave me a sense of freedom and exhilaration that I had not felt since my accident. By the end of the week I was coming down all but the most challenging slopes without the help of my instructor. It wasn’t just my ski-karting that was improving. With the help of the Back Up team, I was learning how to deal positively with adversity and finding new ways of dealing with my disability, which was increasing my independence. By the end of the week, I was loving it and was incredibly grateful to Back Up for giving me such a wonderful opportunity. That was January 2015. This February, during the school half term, I took my family back to Are for a week’s skiing, without Back Up. It was the best week of my post-accident life. Avon Tyrrell is a fully accessible outdoor activity centre located in 65 acres of private estate in the stunning New Forest National Park. The centre is home to the UK Youth National Charity and offers an extensive range of outdoor adventure and learning activities, as well as accommodation options for a wide range of groups. Being a fully accessible centre is extremely important to the charity, providing everyone with the same opportunities to experience, learn and develop. Our activities are extensive and it is great to see the progress that these young people make over their two days with us. “We wanted to say a huge thank you for a wonderful weekend – we thoroughly enjoyed all the activities and it was great to see both boys having such fun away from any kind of screen. Being able to use the Boma (all-terrain wheelchair) made all the difference to Matthew, allowing him full access to the whole site and enabling him to even join us on the mountain biking session. 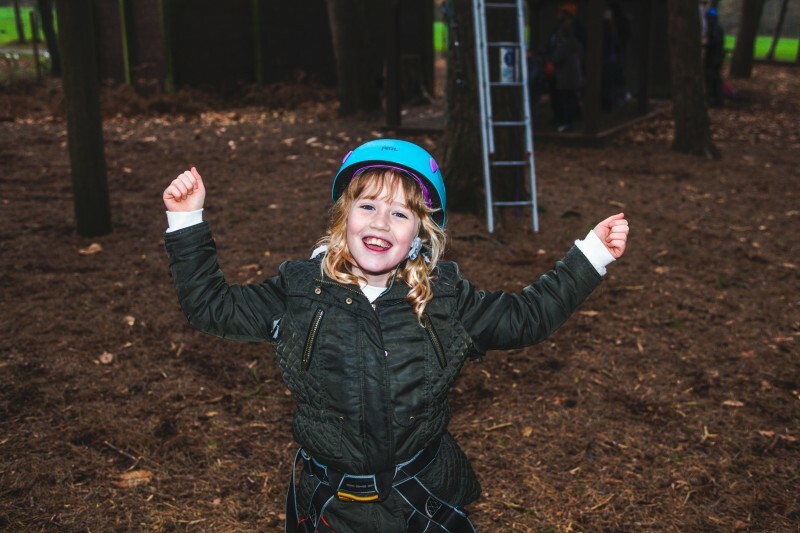 Since coming to Avon Tyrrell, Emily has really surprised us by how much she enjoys the types of activities you offer and how much she wants to push herself, as proved on the high ropes. She has gone on to access further activities (skiing) as well as showing an aptitude for climbing and archery. It gives her options for getting involved in these sports as a way of enhancing her life for when she eventually moves into supported living. The activities don’t only benefit the young people but also give parents a break as well, strengthening their support network through shared experiences and new friendships. They can really see their children enjoying themselves. “Everyone was so friendly and as I attended alone with my son on the spectrum it really made me feel at ease – something that I can’t do very often. As well as the inclusion weekends, all of our facilities and activities are adaptable for those with additional needs. The inclusion bike fleet and accessible trails give you the opportunity to explore the grounds, specialised equipment enables you to conquer the climbing towers, aim for the targets in archery, go tree climbing or kayak on the open lake. There is so much to do on site, it is a great place for families to enjoy. For families outside Hampshire we are currently seeking additional funding so that we are able to offer this opportunity more widely to families. All out accommodation and activities can also be booked independently by all.